The only thing I dislike about them is this idiotic "curved" design, which is not really for the benefit of the viewers, but done to achieve the necessary mechanical stability with less material / cheaper. not officially supplied by LG. 1080p OLED also has good advantages due to much bigger size of each pixel (hence much more stable color and much less issues with lifetime and other issues). Plus 4K content still has huge issues (as it is absent) :-). Constant mentioning of it also is quite pointless. I see nothing wrong with it (as owner of such set also). Most of the time actual restrictions are higher, as ones mentioned comes from the profiles specifications. Vitaliy, did you say you own an OLED? I almost got one as my hero monitor for my grading studio, but than I heard people where having issues calibrating them... is yours calibrated? If so what did you use to calibrate and how accurate did you get it? I'm not concerned about small OLED pixels being "less stable" - the OLED displays of smartphones have much, much smaller pixels than any TV, and yet the OLED display of my years old Note2 did not loose any of its beauty. I got myself the above mentioned LG 55EG9609 today, and it's simply a "day and night" difference for the better in comparison to the Sony KDL 46W905A that I had to use as a replacement since my beloved Sony X4500 died. I guess at the end of this evening I'll have watched all my 4k videos several times during the inevitable "replace bogus default settings with sane ones"-phase. Second, time spent on TV is much more than tablet/phone usage time. LG technique is different to Samsung, as I said. It is something like your old time LCD, but with individual backlight (plus one pixel is also White to keep brightness). OLED as monitor is even worse (for now) than TV. Pixels degrade, but not uniformly (blue degrade very fast). Yet, picture, contrast and colors they make are very good (can tell you as owner of many OLED screens). According to a report from inews24, Samsung Electronics is still evaluating the OLED TV market as it has conservative outlooks for the technology over the next few years, and instead believes that QLED TVs will be a better contender for the TV market, most likely starting in the high-end segment. Thing here is that it will be cheaper. Blue is still the issue. 4K OLED TV panels sized 65- and 77-inch have now reached 65% yields and are climbing while Full HD OLED units are now over 80%. LG believes that yields will be 85% and over by the end of 2015, meeting its aim to reach 80-90% in late 2015 and into 2016. Rumors published by the media in South Korea are stating that Apple is considering switching to OLED displays for iPhones shipping as early as 2018. A report from BusinessKorea stated Apple is highly considering switching from IPS technology to OLED to improve the saturation and brightness of the device. It can have huge consequences to TV and monitor market also. LG Display will spend US$8.5 billion on developing OLED display technology throughout 2018, with investments possibly allocated to construction of a new 10G fab for large-size OLED TV panel production, according to a report from Korea-based D-Daily. 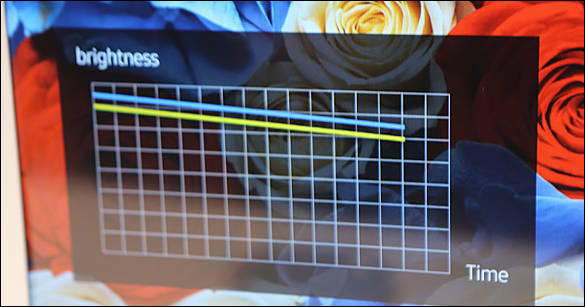 Following developments from China-based BOE, which recently decided to invest in 10.5G facilities, in addition to recent rumors stating Samsung Display will likely construct new 10G facilities to compete with Sharp and BOE, LG will likely join the competition with new 10G technology geared toward cutting OLED TV panels sized 60-inch and above. Street prices of the curved model have dropped a lot since this was announced, in Germany, LG's 55EG9609 was recently sold for 2300,- € (while the flat model of the same size was announced to cost 5500,- US$ - considerably more than the curved model when it was new). Chinese manufacturers Skyworth and Konka have announced to sell 4k OLED TVs starting this year. Apparently, they use OLED panels made by LG, just like Panasonic does. LG Display is forming alliances with China TV vendors for supplying OLED TV panels, which is expected to reach MOU signings in September, according to reports from Korea media. "Samsung Electronics will jump into the OLED TV market in 2017" (says Merck representative, supplier of the "ink" that is used to "print" OLED displays). I always likes determination of Samsung management, they are like bunch of drunk sailors. True to their promise from earlier this year, LG has supplied now the firmware upgrade for their EG9609 4k OLED TVs that brings "HDR but not HDR via HDMI" support. So you can watch HDR material from USB storage or streamed from the net, but the HDMI 2.0 inputs of the curved models are not turned into HDMI 2.0a compliant ones - the possibility to replay HDR content via HDMI 2.0a is reserved to the better equipped flat models (EF9609). I watched a few HDR 4k sample videos available for download (Life of Pi, Exodus,...), looks nice but hey it's not that big of a difference to well made non-HDR 4k videos. Samsung Display is expected to make a final decision regarding investments in large-size OLED panel production equipment for 2016 before the end of the first quarter, according to industry sources quoted in a new report from Korea-based ETNews. 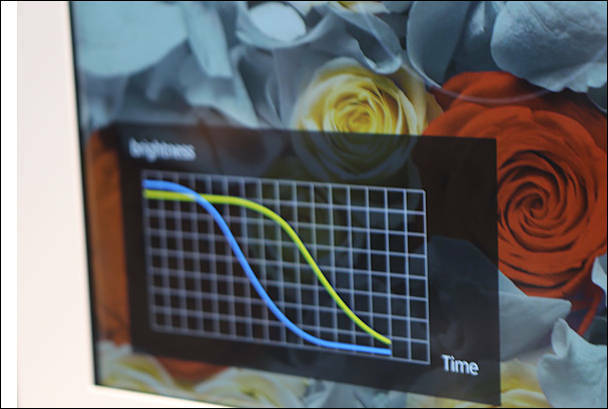 LG Display expects utilization rates for Ultra HD (4K) OLED TV panels to reach between 80-90% in 2016. The company has already reached similar utilizations for Full HD OLED panels and expects 4K applications to rise by the end of 2016. Samsung Display has solidified plans to invest US$7.4 billion in OLED equipment for production of curved OLED displays for Apple, according to Korea-based ET News. Apple will use the curved OLED panel supply for future iPhones as the company intends to shift away from LTPS TFT LCD to OLED, ET News said. This will also help to lower prices for large panels with time. LG Display has solidified plans to achieve 75,000 substrates in monthly production at its 6G facilities throughout the first half of 2017 for curved OLED displays, according to Korea-based ET News. This will be the panel maker's first 6G curved OLED production facility, which joins its 4.5G facilities that have a monthly capacity of 20,000 substrates. Is Samsung really doing propaganda against OLED displays at IFA? Wow, now that's pathetic. So I figure they still didn't catch up with LG's OLED manufacturing success, and are now scared about their future TV sales. That's so strange, I mean, all the Samsung phones use OLED.